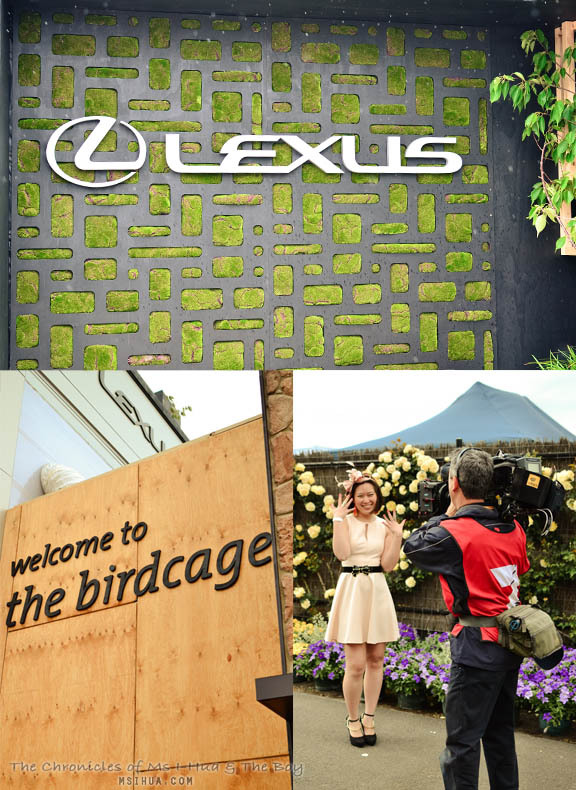 We never imagine that we would be able to party it up and hit the Birdcage in our lifetime, let alone hang out in the very cool Lexus Marquee a.k.a. 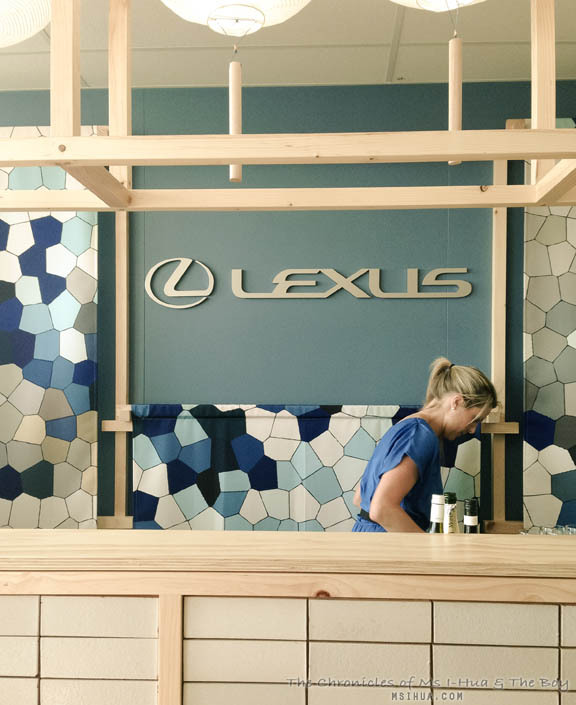 Lexus Design Pavilion. But thanks to the glamazing (I kinda like this new word I just created) Julia from TinkPR and Lexus Australia, we did just that! Along with Thanh, Daisy and Michèle, the five of us were jettisoned into a life not readily available to everyday punters. 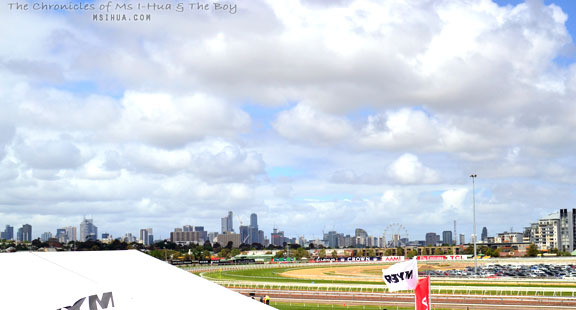 We were invited to enjoy a day at the races for the last race of the Spring Carnival season which was the Emirates Stakes Day. The day started out pretty early and we were picked up from the Grand Hyatt in Melbourne CBD by Rose in one of the Lexus SUV models. Rose with her sleek hair and fitted suit chauffeured us to the Flemington Racecourse. We were praying very strongly for good weather as it was forecasted to be windy with showers. Despite intermittently raining, the sun came out to play for a bit, but it was still too windy to stay outside for long. 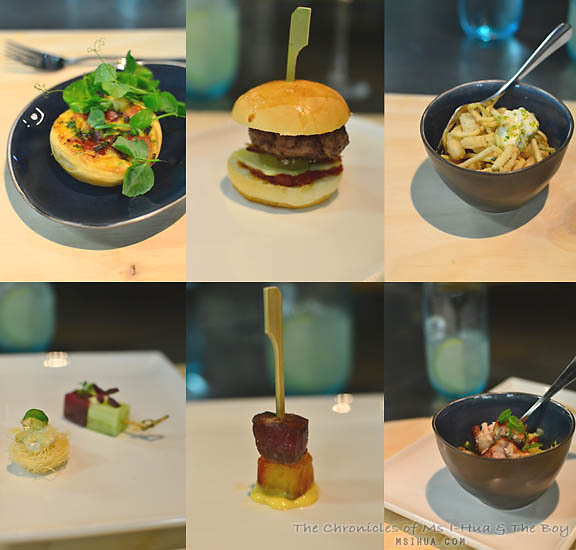 No matter, as we were well taken care of in the confines of the magnificent Lexus Design Pavilion. As we walked into the Lexus Design Pavilion, we were greeted with warm welcomes and race books to get our betting on. Three things grabbed our attention as we entered. The first was obviously the shiny Lexus IS 350 F-Sport. The second was the beautiful curved wall designed by Hecker Guthrie based on iconic Japanese artist’s Katsushika Hokusai woodblock print of The Great Wave of Kanagawa. The third thing that shouted “Look at me, I’m fabulous darling!” was the lantern ceiling. Despite the wind and rain, we ran upstairs to the third floor to admire the layout and furniture put together by Lexus ambassador Jamie Durie. As the sun peeked out like a blushing bride, the five of us decided to go for a quick wander around The Birdcage before the weather turned again. As we walked around to catch a glimpse of a celebrity or two, the Channel 7 crew flagged me down as they wanted to have me feature in their ‘nail’ montage *blush*. It was fun but I don’t think a life in front of the camera is made for me! After our walk around the block, we decided to head back to the comfort awaiting us. We needed sustenance! 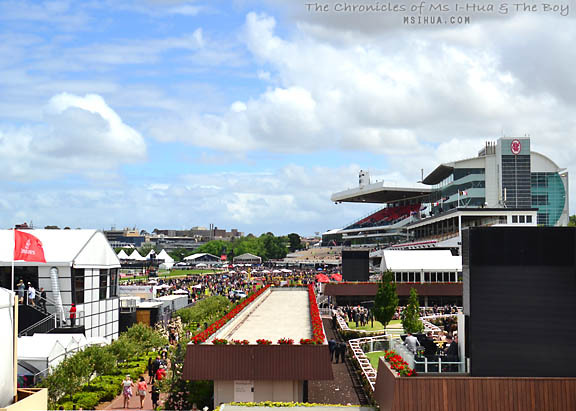 But before that, we headed once more to the rooftop of the Lexus Marquee to catch the horses getting ready for their first race of the day! The view on the rooftop was spectacular and if the weather wasn’t as cold as it was, we would have happily stayed up there the whole day. But the food was calling! 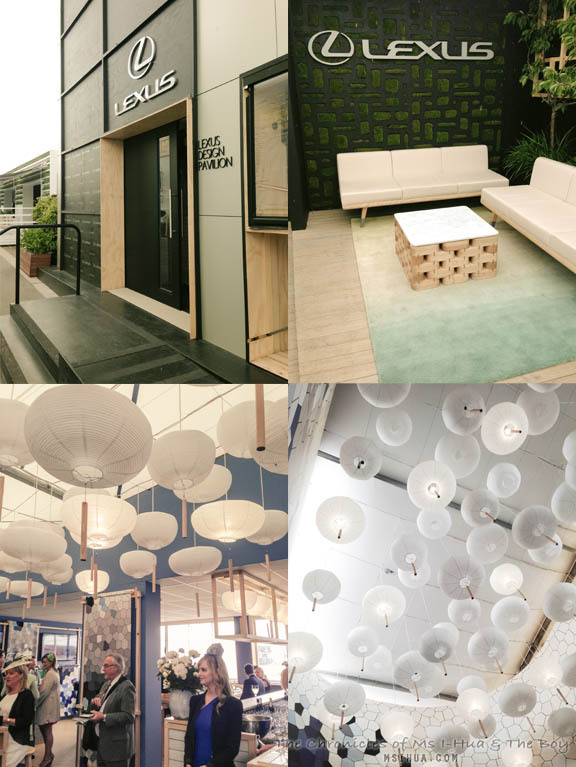 Part of the second floor of the Lexus Marquee was transformed to a Japanese restaurant catered by Hihou. The ground floor was catered by Neil Perry and The Big Group. The five of us having had a preview session of the food prior to the main race week, knew exactly what to expect. But that didn’t lessen the excitement at all and we were like little children on the edge of our seats as with the knowledge we had, we were salivating in anticipation! 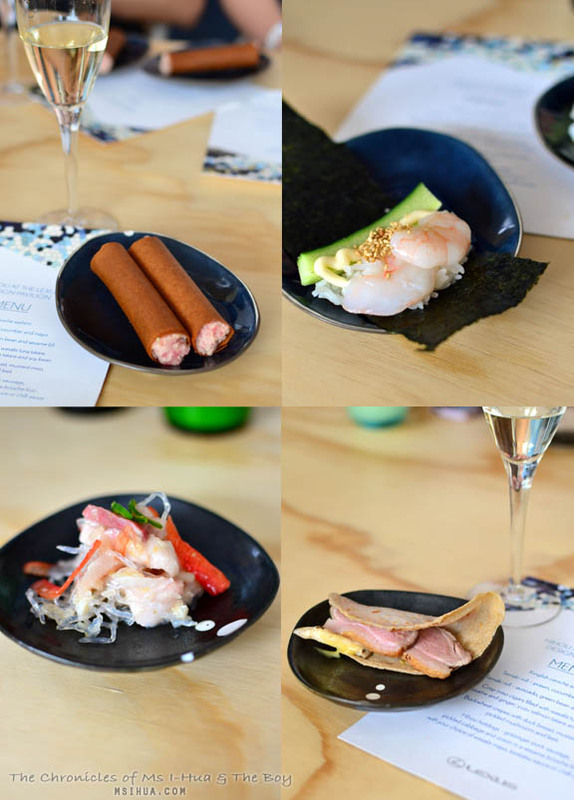 The food at Hihou was excellent as expected and we enjoyed once more on Crisp Miso Cigars filled with Yuzu Salmon Tatare; a DIY Temaki Roll of Prawn, Cucumber and Mayo; Kingfish Ceviche Sashimi; and a flavourful Buckwheat Crepe with Duck Breast, Mustard Miso, Pickled Mushroom and Leek. 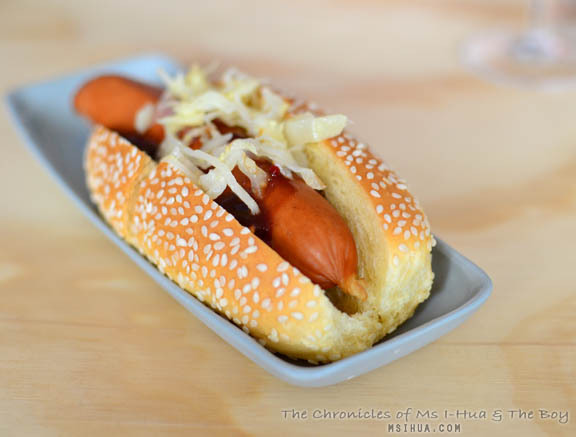 I was most looking forward to the Hihou’s Mini Hot Dogs of Gotzinger Pork Sausage in a Sesame Brioche Bun and it certainly did not disappoint. With your own choice of 1,2,3 or all of the available sauces and pickles, it’s up to you on how you want your hot dog to taste. Having asked Simon Denton (the master behind Hihou, Izakaya Den and Nama Nama) previously what his recommendations were, he assured us that everything together (Tonkatsu Sauce, Chilli Sauce, Wasabi Mayo, Pickled Cabbage and Pickled Onions) was the best option though his preference was the Chilli and the Wasabi Mayo. From the man I like to dub as the Steven Seagal of the cooking world, Neil Perry (top row) and The Big Group (bottom row) came these delicious treats. 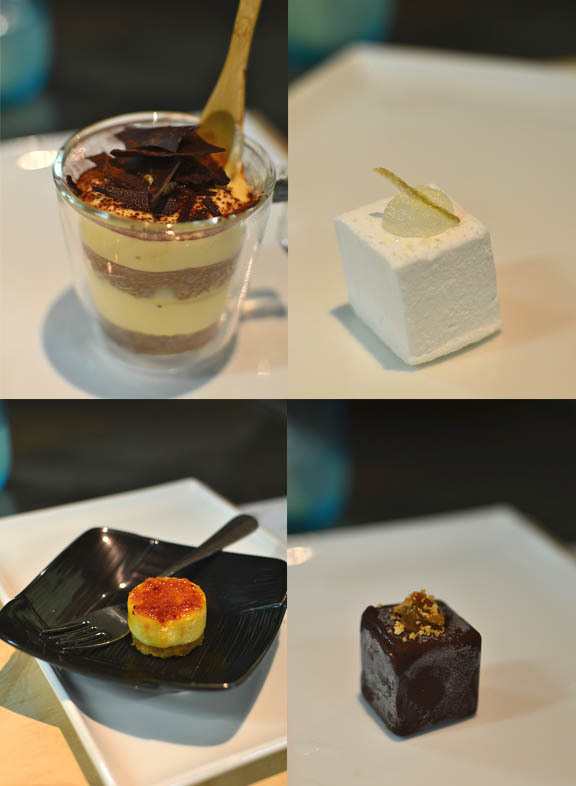 Despite only winning one bet out of all 9 races, our day was still a sweet treat, made even sweeter with these desserts! The day was just perfect. Free flow of drinks (Yuzu Sparkler Mocktail for The Boy) and great company was just what the doctor ordered for a perfect day. Not long after the main race, we got to the ground floor where the dance floor was pumping and the bongo drums banging. Best thing from it all? 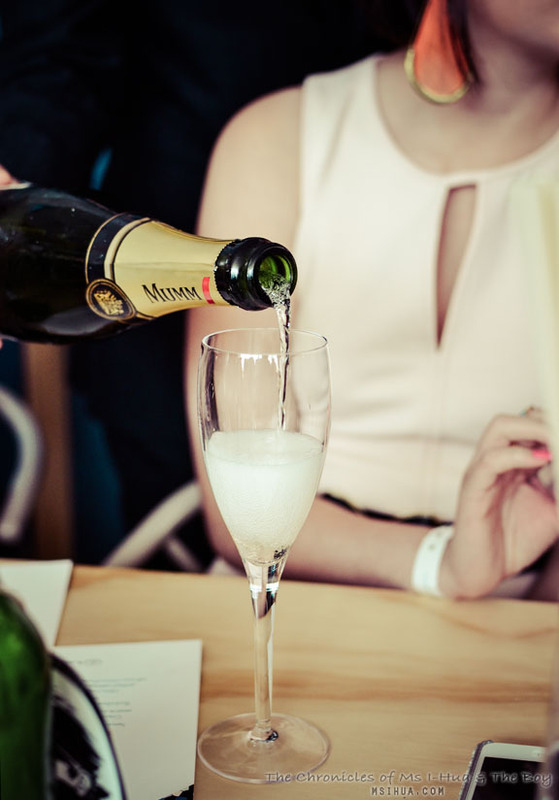 There was no hangover at all and we put it down to the great quality bubbles of GH Mumm we were drinking all day long. Oooh it was chilly on Saturday wasn’t it? I wore a coat to the races I was so cold! Lucky you were tucked up inside the marquee which looks amazing. What an awesome day out, and look at you! So famous! What an amazing day it was. Can’t believe we got to experience it. I love the view from that rooftop garden. Amazing. Hope we get to go next year. Hahahaha, I have always thought that Neil Perry looks like Steven Segal I’m glad someone else agrees! What a fab day you guys had, and I love that shot of the champagne at the end, classy looking Ms I-Hua even when snapped just in the back ground!! Hahaha The Boy took a sneaky shot and it just worked..Don’t mess with Steven Seagal in the kitchen! Wow, wow, wow! 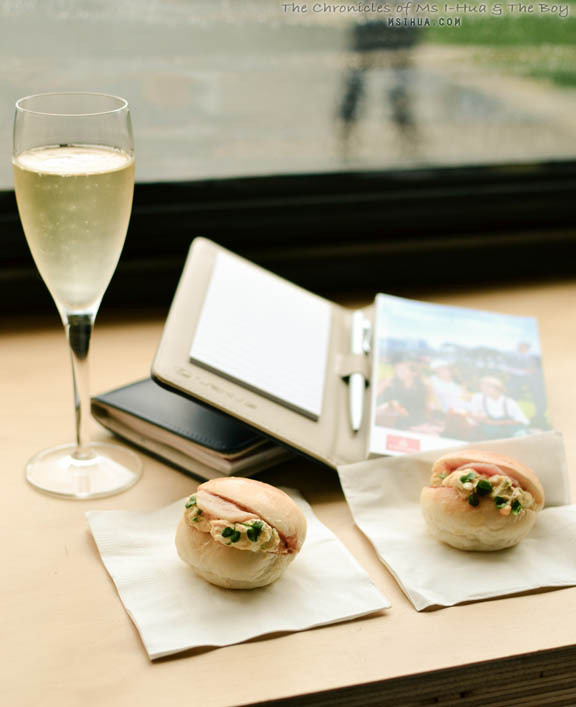 That looks like the perfect fun, glamorous, food-filled day! It was the best day ever! So much fun!